Crispy from outside and soft from inside. Yes, it better explains the nature of this delectable paneer fry. 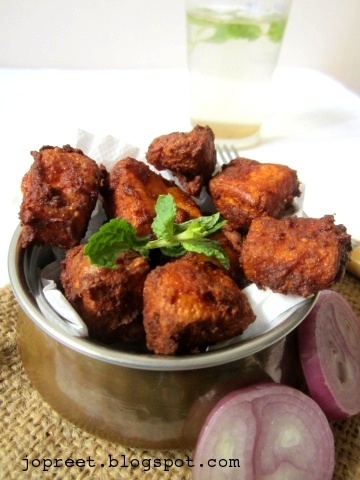 Those who are fond of Amritsari Fish Fry can try this substitute. Combine all the ingredients in a mixing bowl and prepare a thick batter using little water. 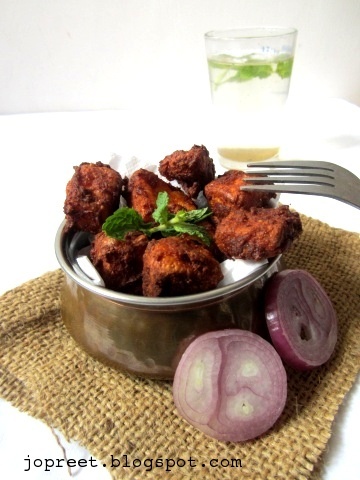 Marinate paneer with the batter and keep it aside for 20 mins. 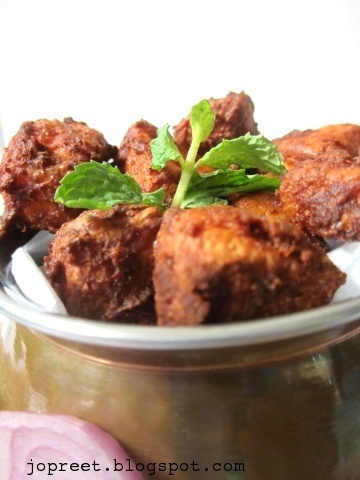 Heat oil in a kadhai and fry the cubes till it turns golden brown and crispy. Remove from the heat and drain the excess oil using absorbent tissue paper. Serve hot with chili sauce or mint chutney. my mouth is watering Preeti! 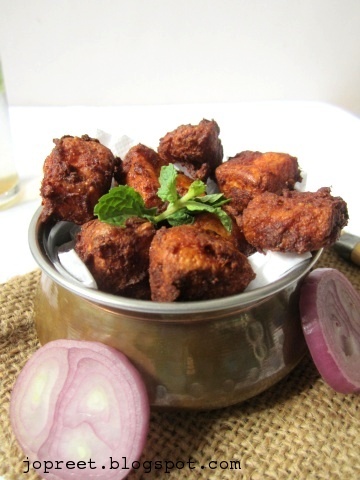 Crispy and delicious..nice paneer starter! looks just like chicken fry. Delicious.